After months of installing new and updated facilities, Cherry Lane Garden Centres re-open the doors at the evergreen destination (pictured above) on May 6th (2013). New owners Cherry Lane bring Tickhill not only better buying power but an even wider range of garden and home goods to excite bargain hunters. 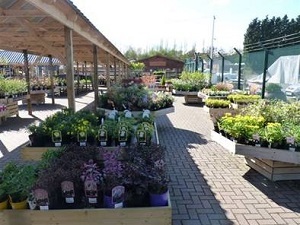 From plants, shrubs and trees and everything to tend them, to leisure furniture, house- and giftware, Tickhill’s got the lot. Gardeners will head straight for the new planteria and Shed World while pet owners will make for the aquatic centre and brand new in-store franchise ‘Scallywags’, offering big brand pet products at great prices. With a new Shopping Village and stylish new Café & Bistro, Wellington’s serving a range of delicious light bites and lunches with fresh coffee and tasty pastries, Tickhill makes a great day out for all the family. Cherry Lane Tickhill is at Bawtry Road, Tickhill, Doncaster DN11 9EX.